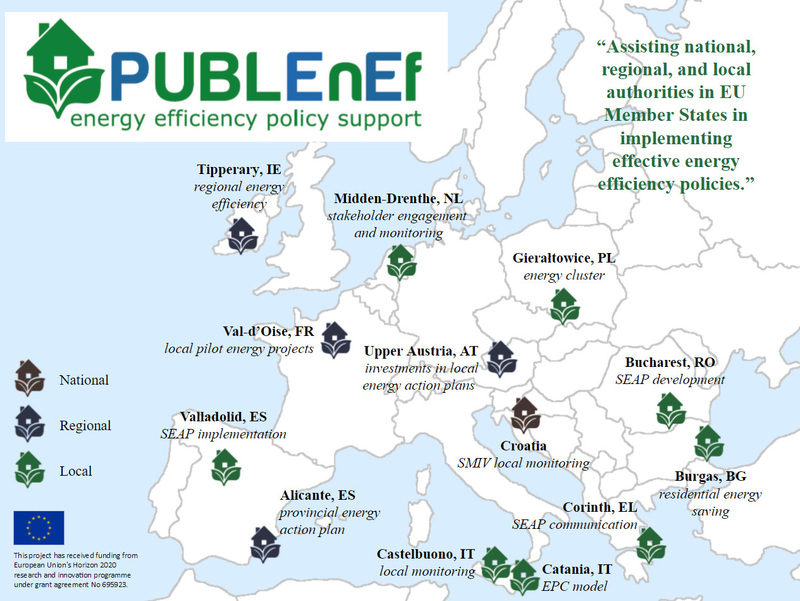 PUBLEnEf project aims to assist European Union Member States in implementing effective and efficient sustainable energy policies (with the focus on energy efficiency) and empower them to make use of the best practices and policy processes implemented in other Member States at the national, regional and/or local level. This project has received funding from European Union's Horizon 2020 research and innovation programme under grant agreement No 695923. PUBLEnEf addresses the topic Horizon 2020 EE7-2015 on “Enhancing the capacity of public authorities to plan and implement sustainable energy policies and measures”. PUBLEnEf is a highly participatory project with the main aim to assist the capacity of national, regional and local policymakers in developing EE policies. The stakeholder participation consists of the enabling capacity building and dissemination of results for policy makers and stakeholders that will receive the PUBLEnEf messages and adapt their behavior in the medium-long run. Specific objectives of PUBLEnEf include assessing and learning from existing energy efficiency policy implementation practices in EU countries, regions, and cities; to strengthen the networking opportunities for relevant public agencies; and to develop and adjust tools for public agencies to help them to implement energy efficiency policies. See details on PUBLEnEf project website.